In New Jersey, hundreds of thousands of law suits are filed each year over business related disputes. Yet less than 1.5% of those are ultimately resolved by a judge or jury. Most of these disputes are settled by the parties and their attorneys, often with the help of a neutral. Alternative dispute resolution is about using the process that works for the disputants. 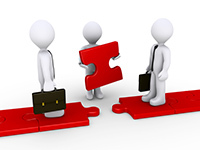 This could be mediation, a number of types of arbitration, fact-finding, facilitation and more. Sanns ADR Services offers mediation, arbitration, fact-finding and other alternative dispute resolution services. The principal of Sanns ADR, Marvin Schuldiner, is a highly experienced, credentialed, effective and sought after neutral. A process where an impartial third party helps guide parties in a dispute to come to a mutually acceptable solution. Through asking questions, facilitating discussion, questioning assumptions, and analyzing data, a mediator will help guide disputing parties to a resolution. 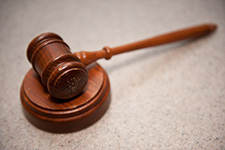 Arbitration is where a neutral party acts as a judge in a dispute and makes the decision on the outcome. The advantage to arbitration is lower cost, less time to a final decision and use of a subject matter expert to decide the case. 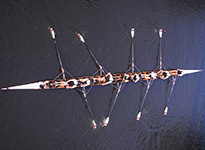 Do you have interpersonal strife on your team which limits the productivity of the team or even the entire company? Sanns ADR can help reduce or eliminate the strife so your team works more cohesively. Deal negotiations reach an impasse for all types of reasons: price, quality, quantity, terms, contracts, etc. The goal of deal mediation is to overcome the impasse and get the relationship started (or to continue an existing one). No lawsuit necessary. 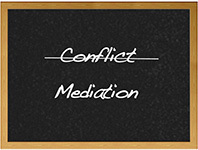 Sanns offers mediation training for corporations (human resources), universities, large groups and specialized peer mediation for school children, teachers, and administrators. What happened? Often, that is all parties want to discover. The fact finder can investigate what happened, give his/her findings and, if desired, recommendations to prevent the dispute from re-occurring. For questions or to get started, contact Marvin at Sanns ADR.